Sarah’s initial reason for becoming a therapist was the hope of being able to help transform an experience of suffering into one of resilience, empowerment, and compassion while still being able to hold space for the origin of suffering. Sarah feels privileged to be entrusted with people’s stories and holds the opportunity to serve others in the highest regard. Sarah graduated with her Masters in Educational Counselling in 2008 from the University of Ottawa. She has been a Certified Canadian Counsellor in good standing since 2008 with the Canadian Counselling and Psychotherapy Association. Sarah started her career in Ottawa as an addiction counsellor where she supported individuals in understanding and working through their substance use addictions and mental health concerns. Sarah moved to British Columbia in 2011 and has been working in Community Mental Health supporting individuals who struggle with depression, anxiety, trauma, eating disorders, and other mood disorders. 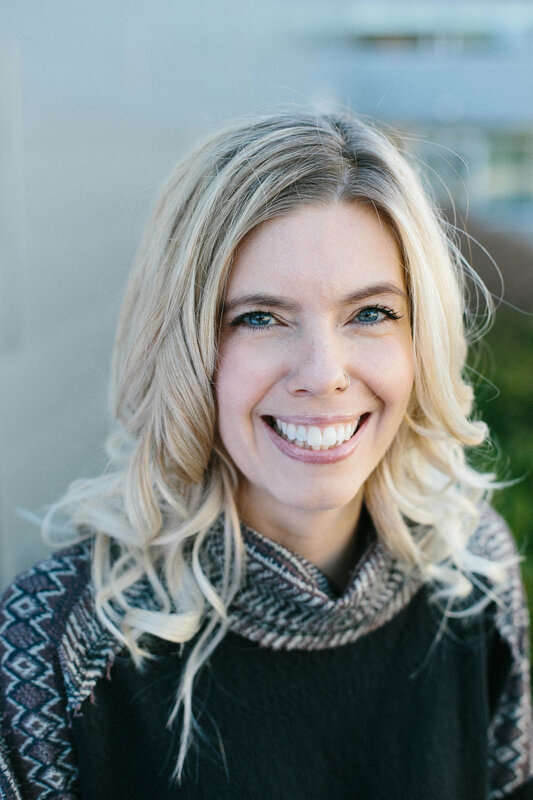 Sarah takes a collaborative and holistic approach to the work that she does with her clients, meeting each one where they are in his or her life, and walking alongside the journey with them in a compassionate non-judgmental way. Sarah graduated with her 200 hour Yoga Teacher Training in 2015 and brings the practice of yoga into the work that she does with her clients as a way to bring them back into their bodies, to strengthen self-compassion, and to encourage a mindfulness life. By using a wide range of therapeutic techniques such as Mindfulness, Self-Compassion, Cognitive Behavioral Therapy, Dialectical Behavior Therapy Informed, Emotion Focused Family Therapy, Solution Focused, Trauma-Informed, and Narrative based practices, Sarah’s goal is to increase each client’s ability to develop healthy coping skills, to be empowered in his or her life, to reduce suffering, to increase self-efficacy, and to offer a space to build hope, meaning, and purpose. Sarah’s passions include supporting adults struggling with depression and anxiety. Sarah also enjoys working with teenagers and young adults supporting them in developing healthy coping skills, navigating peer dynamics, developing healthy communication skills, supporting the development of healthy self-worth, and exploring the maturity of identity. Sarah has started her training in Couples Counselling and welcomes couples in her practice. In June 2019 she will be completing her Emotion Focused Therapy for Couples Externship (30 hours) with the hopes of becoming a Certified EFT Therapist. Sarah is constantly attending educational opportunities to continue to grow as a therapist for the clients she serves. Sarah offers 60 minute sessions for a rate of $120.00 an hour. Some insurance providers will reimburse for part or all of your counselling services fees from a therapist registered as a CCC (Certified Canadian Counsellor). If you wish to use your benefits, please inquire with your provider.